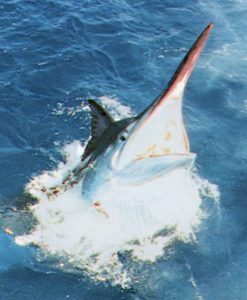 Light tackle game fishing from Port Douglas on the Great Barrier Reef is exciting and productive. 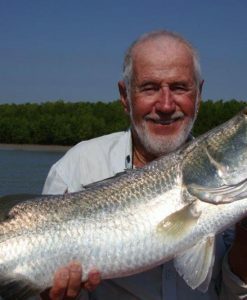 Best of all, light tackle fishing from Port Douglas is good all year round. Species caught when light tackle fishing with light to medium tackle are Spanish mackerel, Mack tuna, Yellowfin tuna as well as Mahi Mahi or Dorados, Wahoo and even Sailfish. Barracuda and Trevally are also a lot of fun on light tackle! The Great Barrier Reef also has an abundance of reef fish as well that are fun to catch when light tackle game fishing and are fantastic eating as well. There is also the opportunity when light tackle fishing to target table fish such as Spanish Mackerel. 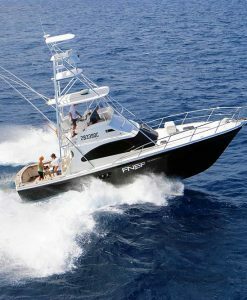 Light tackle fishing charters are conducted from custom made boats designed for speed and agility. 10-15kg line is used for trolling lures or baits on the outer reef. Dead baits and lure fishing are also employed by your crew when light tackle game fishing. 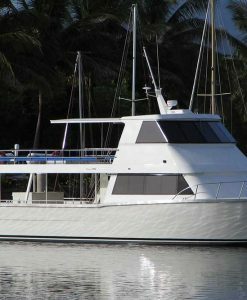 Most of the Port Douglas light tackle game fishing boats have custom built rods and use only the best quality Shimano or Penn reels. 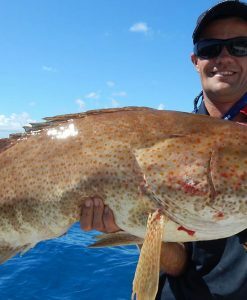 Light tackle game fishing is incredibly exciting and is great for anglers wanting to add a bit of adventure to their Port Douglas holiday. Light tackle game fishing is also suitable for anglers of all levels, whether experienced or novices. 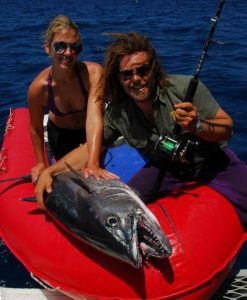 A light tackle game fishing charter will get you hooked on fishing from Port Douglas! 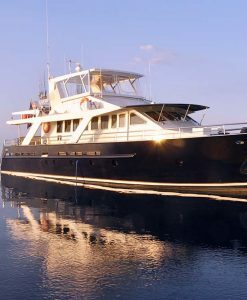 Light tackle game fishing charters are almost always available on sole charter only. 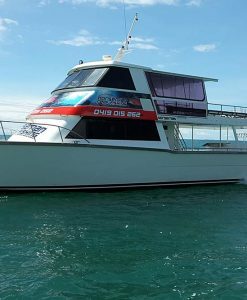 Departure times for light tackle game fishing charters are usually around the 8 am mark and return to Port Douglas around 4.30pm each day. Light tackle game fishing charters are very affordable. 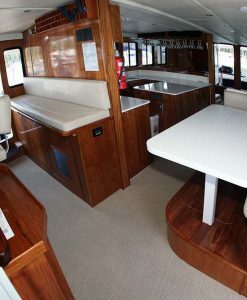 Prices for light tackle game fishing start from $2200 per day and you can take up to 6 passengers on a boat this size. For any Light Tackle Game Fishing inquiries you may have from Port Douglas, contact Port Douglas Reef Charters and we will be able to assist.